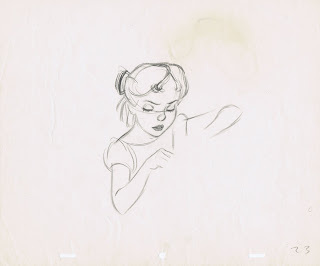 How about those beautiful mermaid sketches by Fred Moore? 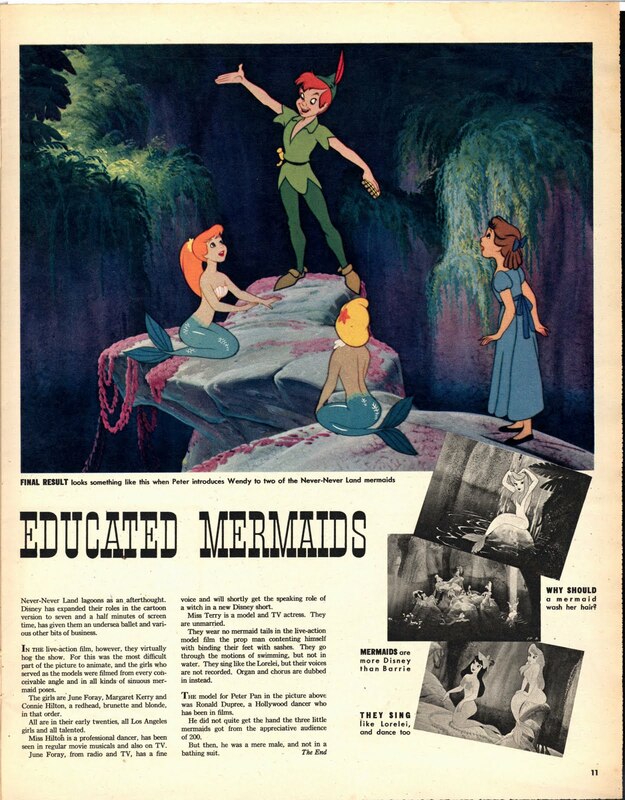 And who knew that June Foray and Margaret Kerry modeled for live action reference as mermaids. 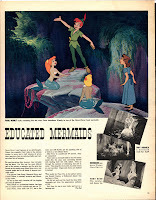 June of course is known for her legendary voice acting in Warner Brothers cartoons, and Margaret's main role in "Peter Pan" was to act out scenes for Tinker Bell. 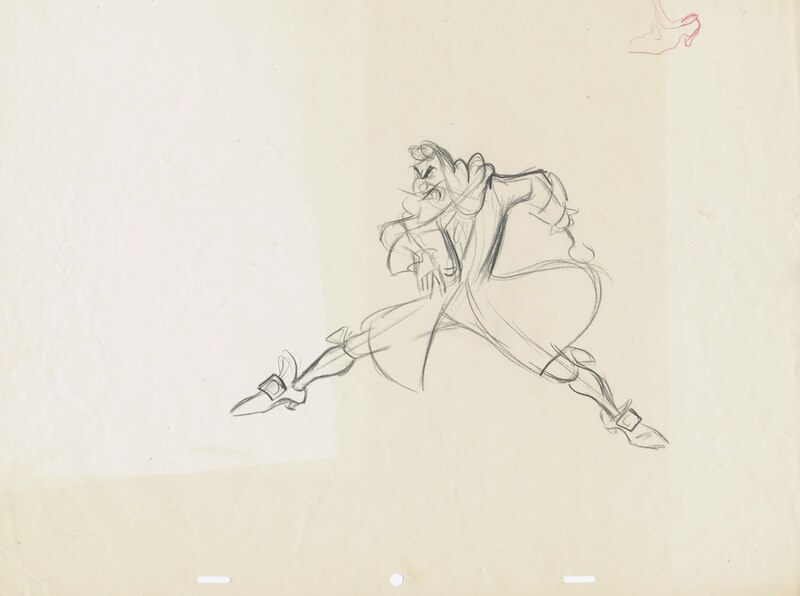 These drawings again are all by Milt Kahl, even the Captain Hook ones as well as Smee. 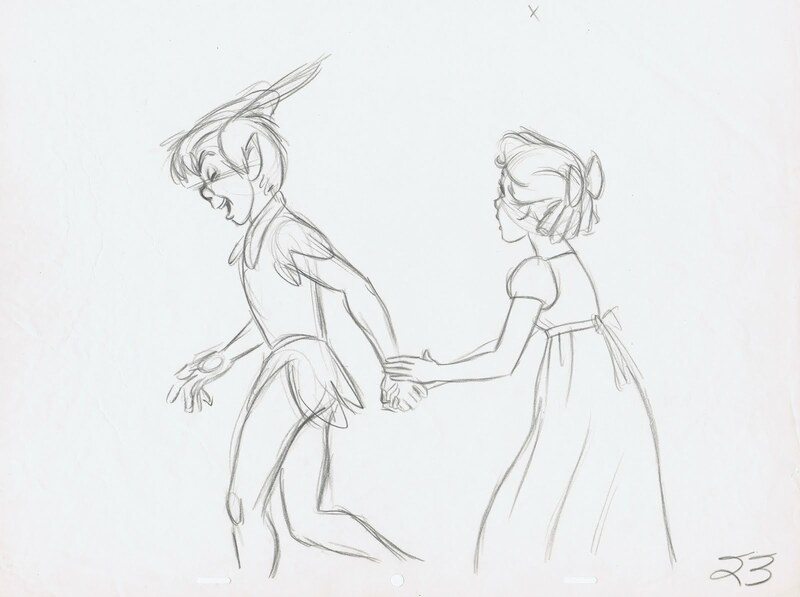 Perhaps you can see why Walt assigned the more realistic characters like Peter and Wendy to Milt. 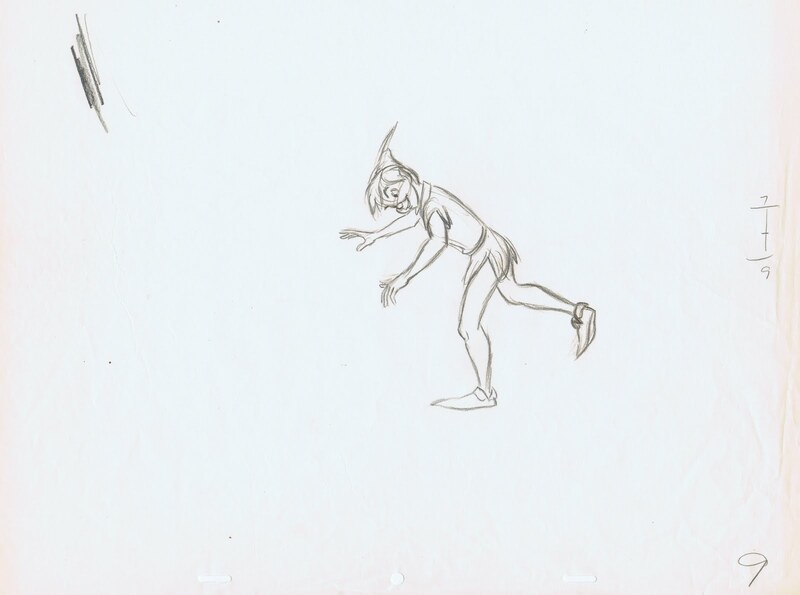 Those two demanded very subtle animation combined with fine draughtsmanship. And that's exactly what Milt could do better than most animators. 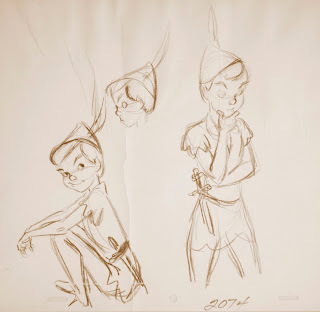 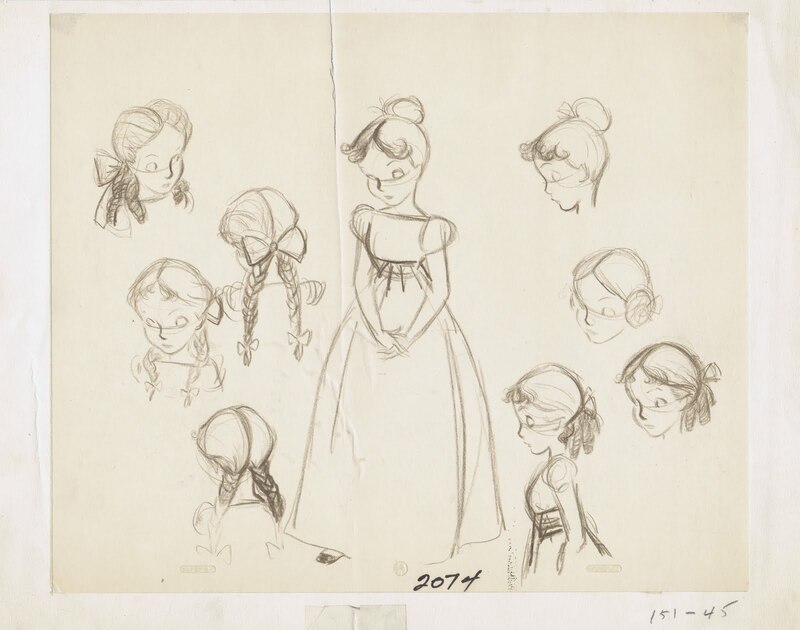 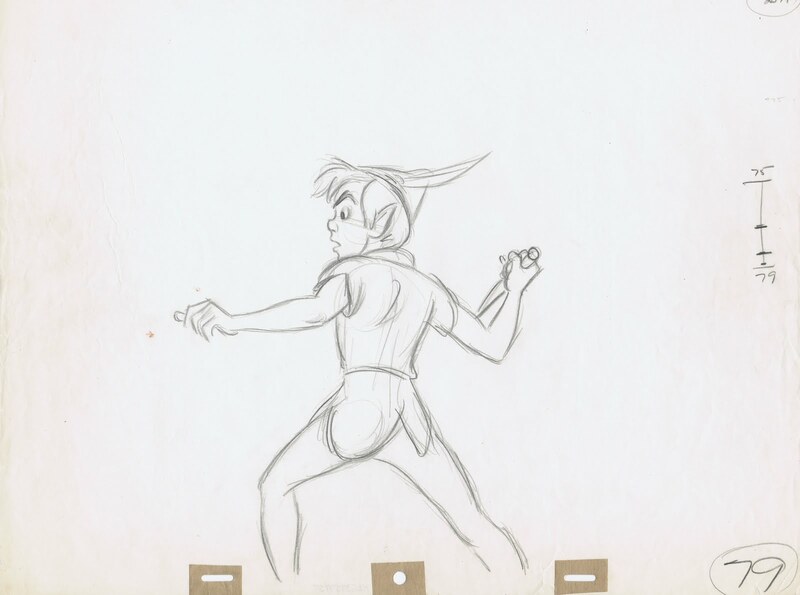 These early Peter Pan design studies are based on Bobby Driscoll, who voiced the character and provided live action reference for the acting scenes. 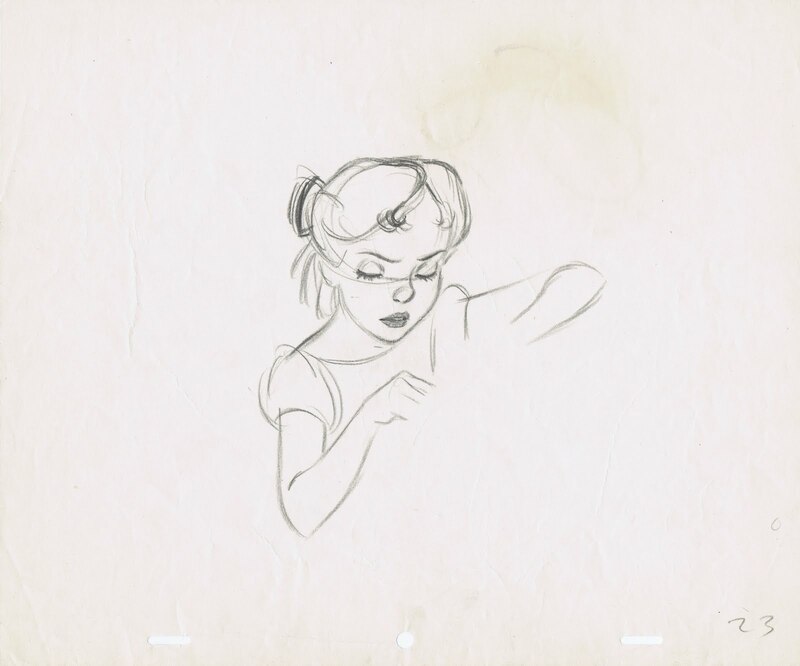 Kathryn Beaumont did the same for Wendy. 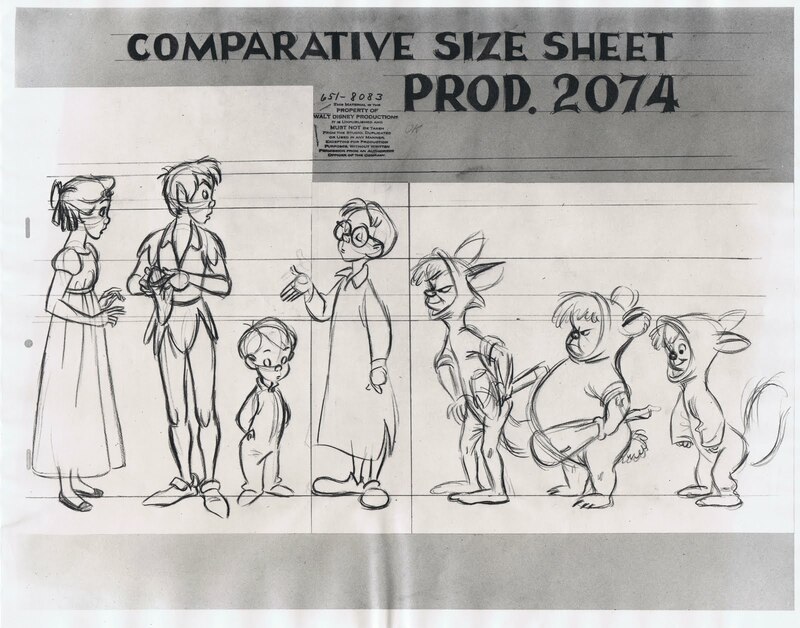 And the sheet showing a variety of hair styles sure looks like Kathryn at that time. 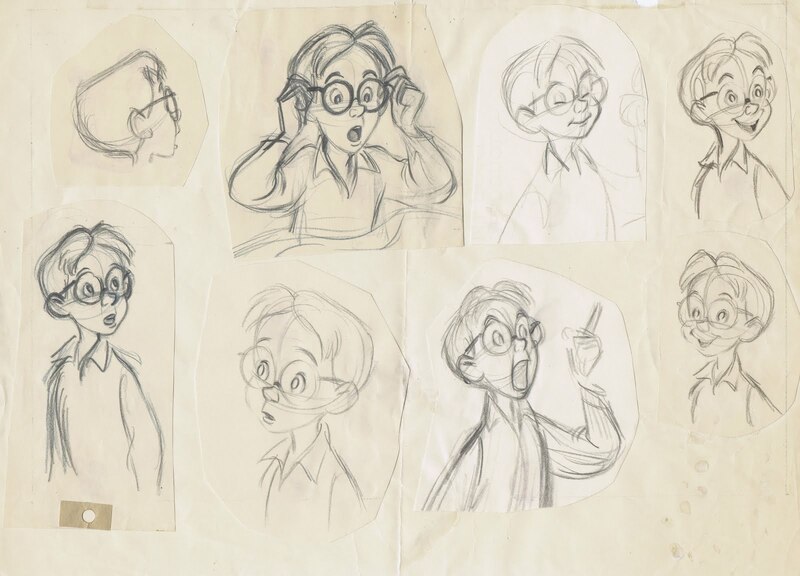 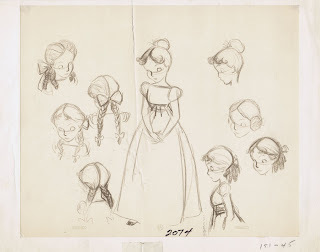 I really like the drawings of John, they were done for other animators' scenes. 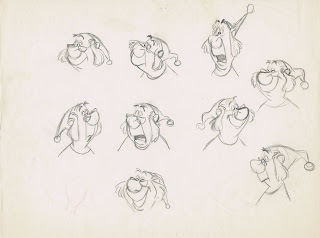 Amazing confidence in these, with a perfect combination of realism, caricature and appeal. 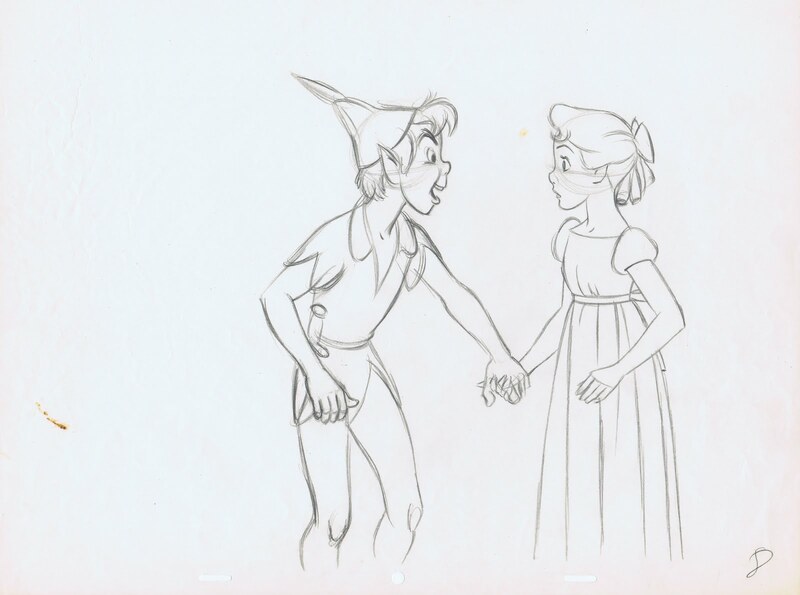 "You want to know what's going on? 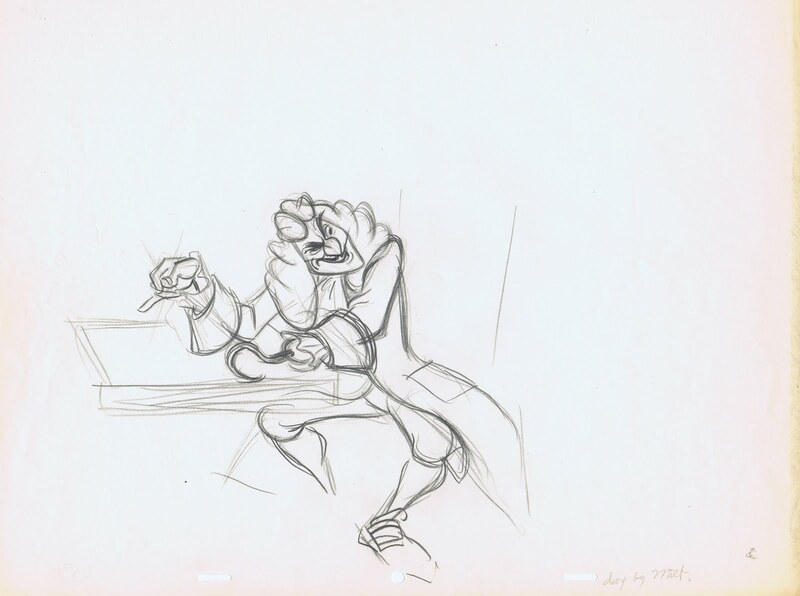 You don't have any X@%# talent in this place." 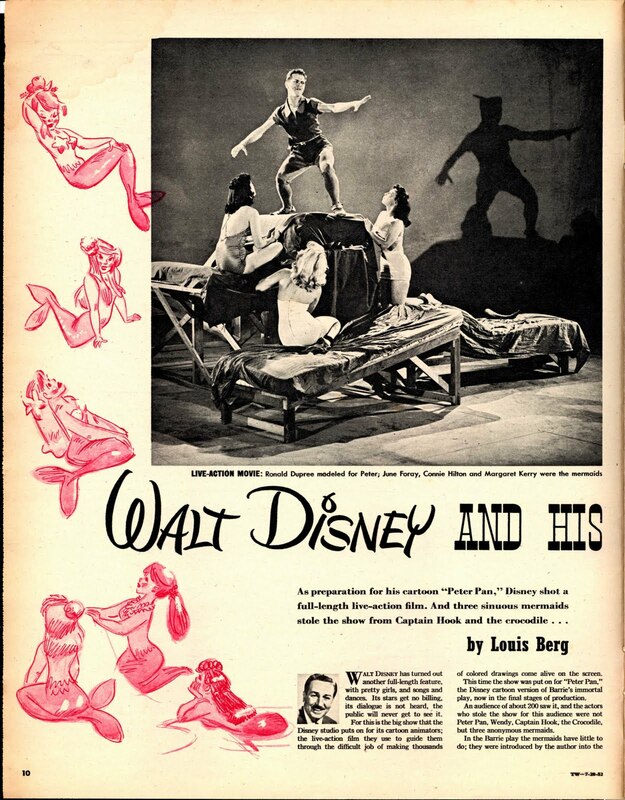 According to Ollie Johnston, only Milt could have an arguement like this with Walt. 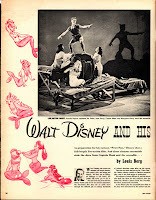 I want to thank David Pacheco for letting me post his magazine article, and other ones I will show in the future.